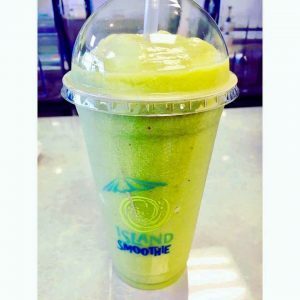 If you are shopping and you have the need for some healthy green juice but don’t feel like making it yourself, rest assured, there are some quality products available. Of course everyone knows by now that many juice companies put sugar and other not-so-healthy ingredients in their drinks to increase flavor and addictive-ness. But not all do this. You have to read those ingredients labels before you buy. Never assume they are 100% natural and good for you. If you are not in the Corolla area of North Carolina, rest assured that there are some national brands that still serve natural healthy juice. In certain parts of the country, Jamba Juice is a very well-known product. Their “great greens” product is loaded with nutrients and loaded with some great greens including veggies—including cucumber, kale, and spinach. Starbucks has a brand called “Green Devotion” and it seems to be pretty healthy and tasty at the same time. It’s also packed with greens, including celery, cucumber, spinach, kale and romaine and is finished with lemon and parsley. This company found in NY features a product called “South of the Border”. It features a unique blend of onion, bell pepper, avocado and cucumber. The reviewers say it has a creamy taste that is more soupy than a juice drink. If you are in the Outer Banks area of North Carolina, please come by and check out our Power & Green Smoothies. With only the best ingredients, including fresh kale and other fresh greens, they are sure to make your mouth happy and your body grateful.